The best musical team-up of all time! 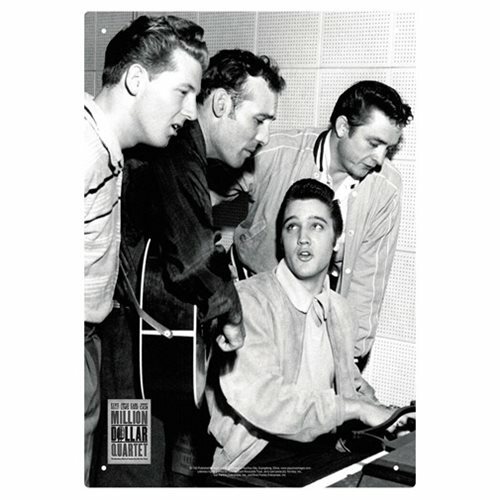 This Million Dollar Quartet Tin Sign features the legendary image of Elvis Presley, Jerry Lee Lewis, Carl Perkins, and Johnny Cash. Tin sign measures 11 1/2-inches tall x 8-inches wide. Ages 13 and up.